Leading photography software developer Nik Software (www.niksoftware.com) announced today that its popular Snapseed® Mobile app was selected as Apple’s Free App of the Week on iTunes. Snapseed was named iPad App of the Year in the App Store Rewind 2011 and earned the International TIPA Award 2012 for Best Mobile Photo App. Snapseed sells for $4.99 but is free until June 7, 2012 during the iTunes App of the Week worldwide promotion. Snapseed is an innovative photo enhancement and sharing app with a powerful suite of imaging filters to make any image extraordinary. Learn more and download Snapseed here. If you don’t own Snapseed you may be missing a treat. 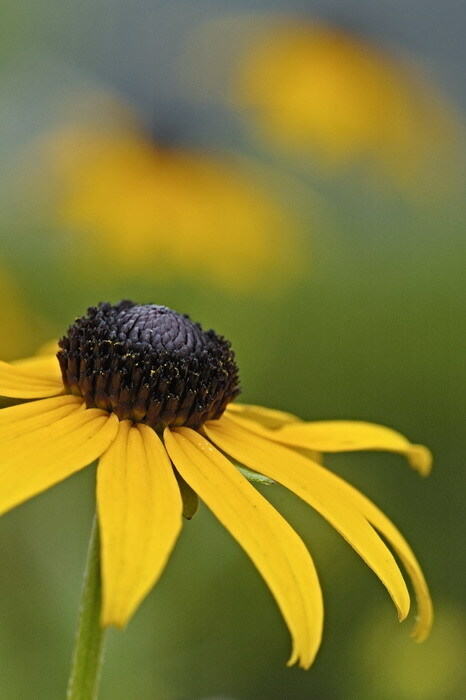 Here is a quick intro to Snapseed. 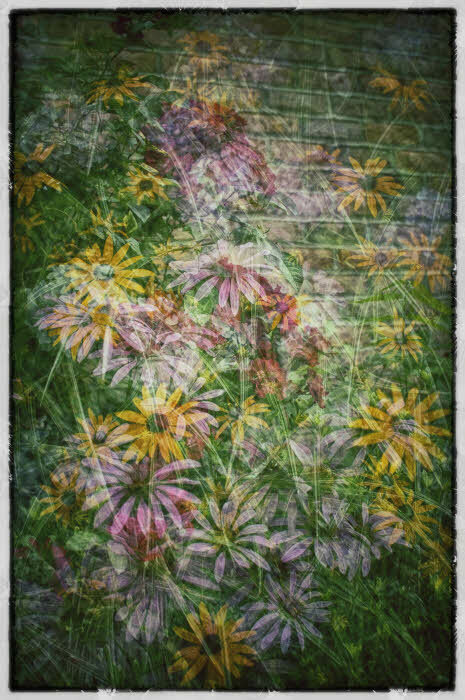 Click for full screen gallery of Snapseed examples. Here’s the iTunes store link. I’ve stuck this announcement to the front of an earlier post of mine so that you can “read all about it”. 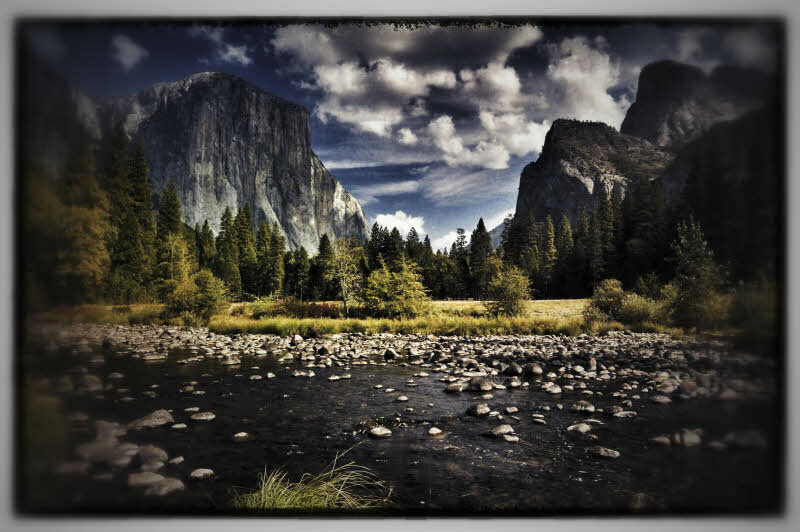 Snapseed for the iPad from Nik Software has arrived. The future is now. If I hadn’t already bought an iPad, I might buy one now. [Update 9/21/11 – that last sentence was over-exuberant. 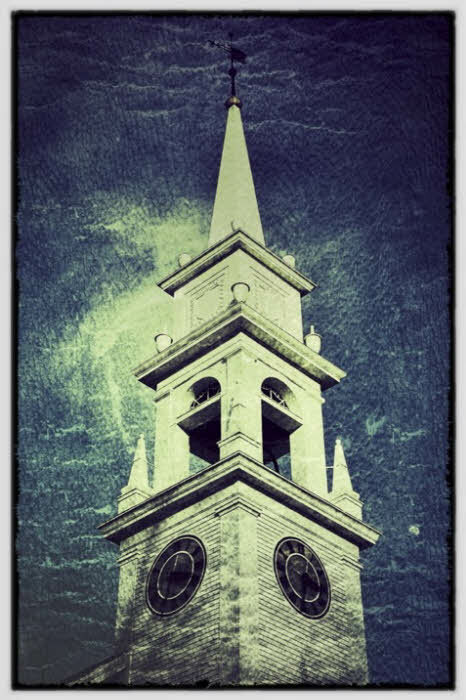 I think Snapseed is a great app, although it won’t replace full blown image processing products – nor did I believe it would when writing that statement. However, after several months using an iPad2, for me it falls way, way short of being a general purpose useful device if you’ve spent your life using “real” computers and, more to the point, real operating systems. Steve J. – what was Apple thinking (or not) when you built the iPad with no means of file management? I’m thinking that Win8 may do it right – anyway, hope springs eternal. Nik Software just announced their first software product that’s not a plug-in for programs such as Photoshop and Lightroom – it’s an iPad app. From the looks of it, it may be the only photo editing app you’ll need. I’m a newcomer to the world of iPad – mine is out on the FedEx truck for delivery at this instant. Thus – I’m praising Snapseed without even having tried it but I have no reservations about doing so. That praise is based on years of experience with Nik software as both a user, teacher and beta tester – there’s no better photo software. Others are fans as well – Nik has won numerous awards for their photo software including the Best Photo Software for 2011 from the Technical Imaging Press Association (TIPA). Full disclosure – I am a Nik beta tester. 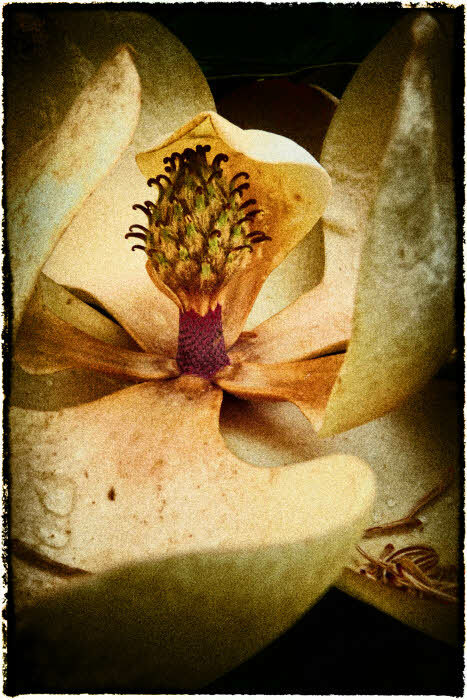 As such, I’ve been “gifted” a copy of Snapseed – value $4.99 (I can be bought on the cheap ;-)). I did not participate in the Snapseed beta as I didn’t own an iPad. Got my copy the same time/way as everyone else – via the AppStore. 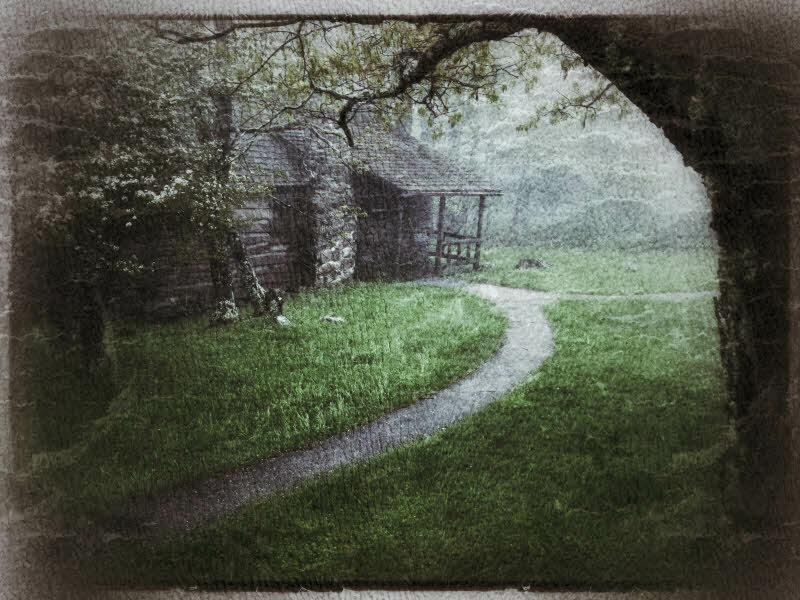 Here are my previous Snapseed posts. Exploring Nik Software’s Snapseed for the iPad. Tune in then, but in the meantime …. We see many images with good potential that are ruined by the background – usually because it is a distraction when, instead, it should complement the subject. This is where what I call Composing for the Background comes in. This aspect of your composition is every bit as important as the treatment of your main subject – more, I believe, because if it’s done wrong everything else is wasted. 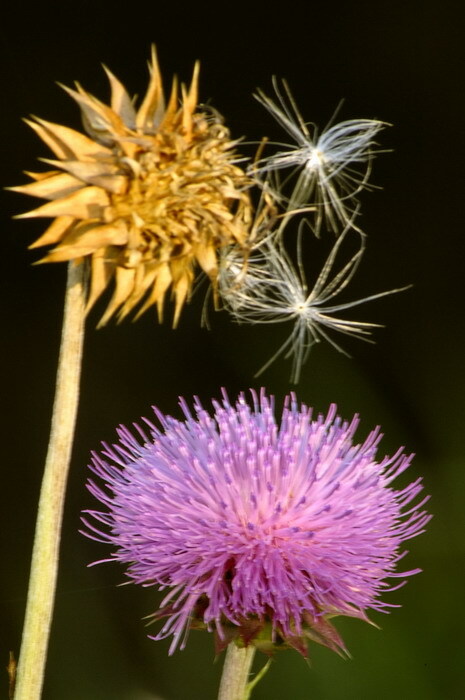 My following examples are found in nature because outdoor photography is “my thing”. The same principles apply to other genre though. starts – and ends – with the goal of not allowing the background to become a distraction. Simplify it!! Choose a plain background. Duh! There’s a reason that portrait studios use more or less plain solid backgrounds – the portrait is about the person and not what surrounds them. In a pinch, carry a “backdrop” with you. A collapsible diffusion disk with black/white/silver/gold covers works great. If you’re making an image which is a portrait of a flower or critter, shouldn’t you try to do the same as the studio photographer? 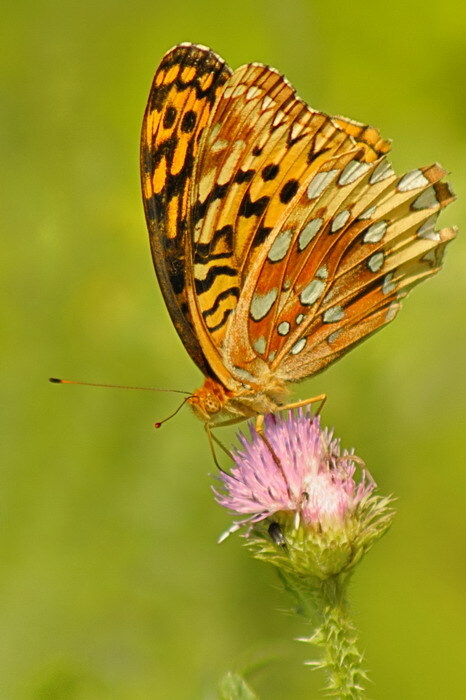 You can simplify the background “in the wild” often just by a slight change in your position relative to the subject. Using selective focus – a very shallow depth of field – in combination with your carefully selected position will usually do the trick. Try what I do, especially with flowers in a setting where there are lots of them. Once you’ve found your background THEN look around for a subject that you can shoot against this background. I know that this sounds backwards, but give it a try. This is exactly the approach that I took with the feature image at the beginning. What? 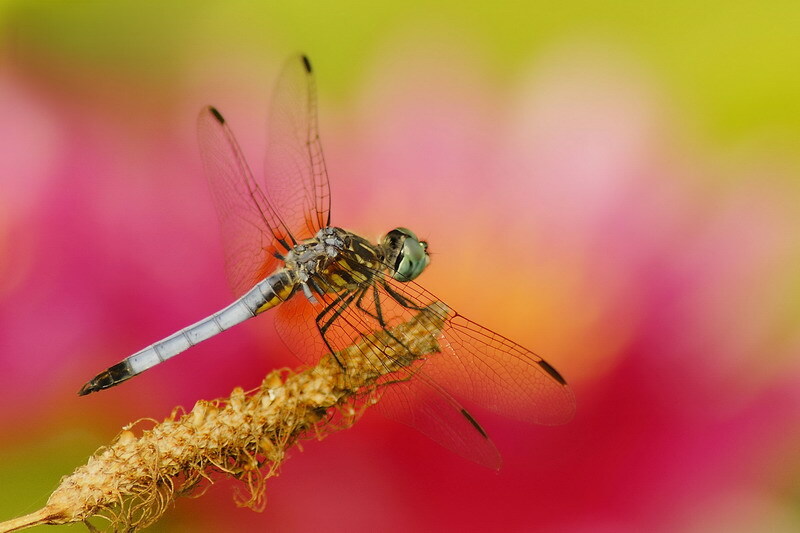 How could I have known that the dragonfly subject would conveniently land right in the spot that I picked out after choosing a pond of water lillies for my background? For the answer to that question (shooting fast moving critters?) read On Becoming an Expert in Your Subject Matter. It’s important to fight the temptation to show too much – like those beautiful water lillies. In this case they are the background and to show them more clearly only makes them a distraction. Simplify!! It almost goes without saying that you should be shooting in aperture priority since control of your f/stop (DOF) is crucial. Or manual. Examples follow; all were made in a one week period no more than an hour from home. Shoot often; shoot where you know the territory and can get to it quickly – that’s not a game preserve in Africa. Although the background is only about 2 feet away, DOF simplified it. 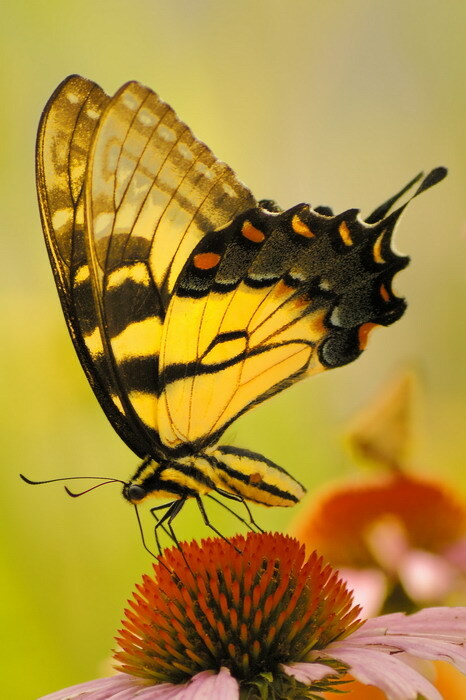 In contrast to the 1st butterfly image, this one took advantage of a 2nd flower (planned) and a 2nd BF (luck) to create a type of background that I call a “Visual ECHO” (echo, echo, ….). It complements the foreground. The echo, just like its sound counterpart, should be softer and less distinct than the main subject – to do otherwise ruins the effect by becoming a 2nd point with equal importance to the main subject. 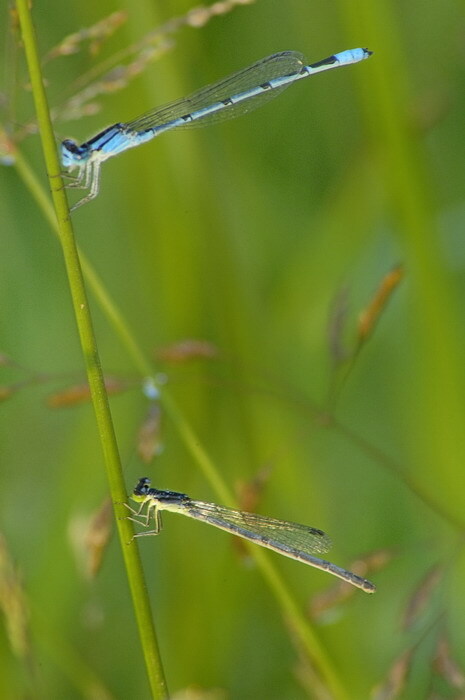 This shot of two damselflies is an example of what not to do. I was down on the ground amidst the grass where they were. Too many grass seed heads too close to the subjects – which distract the eye. 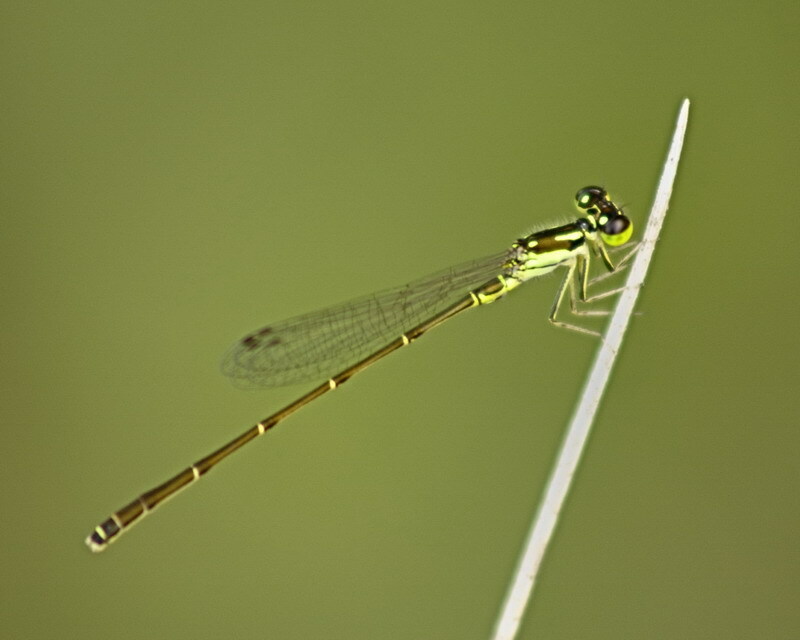 In contrast to the 1st damselfly image, this one demonstrates a simplified background. Admittedly you can’t always get what you want – in photography or life. About 10 feet above a stream. Lined this up with the shaded far bank, about 30′ away, as my background. Piece of cake. 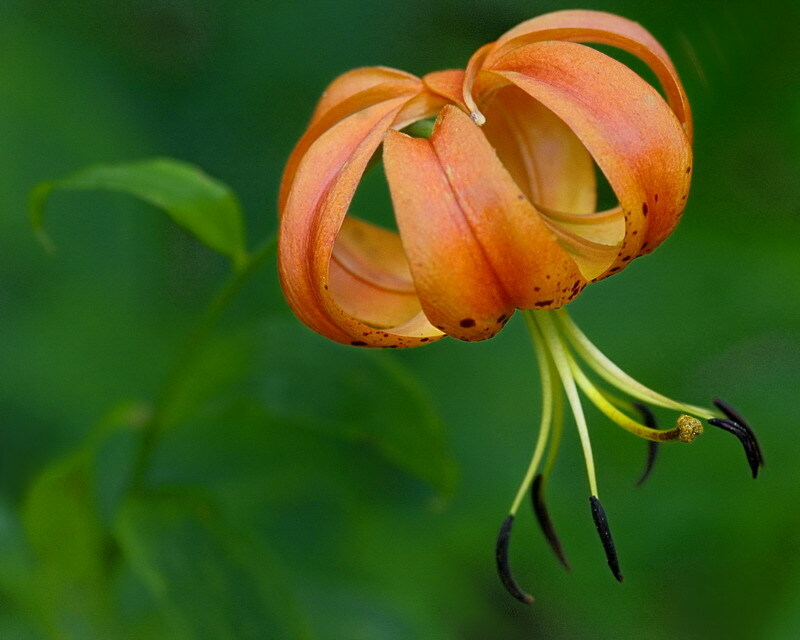 Along side Skyline Drive, Shenandoah NP, with the forest about 10′ behind this Turks Cap lily. The only trick was to find an angle where the green background was more or less uniform (no branches, tree trunks or other stuff) and use DOF to deal the the rest. 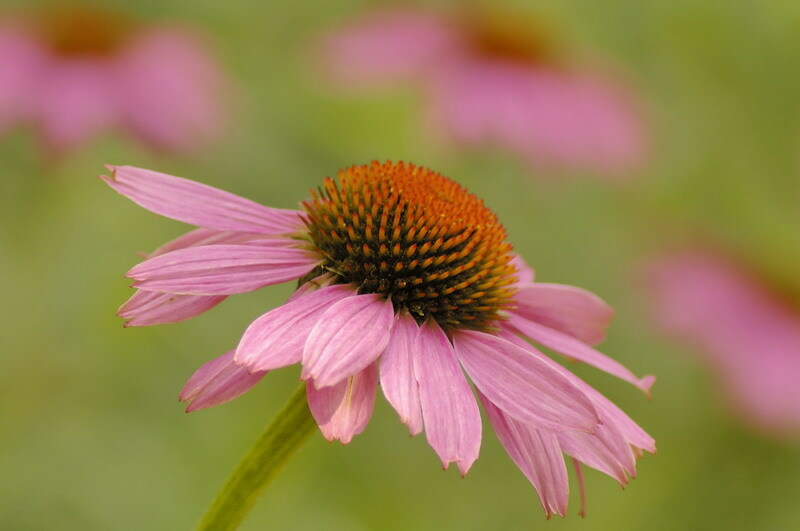 The subdued stem of the plant and the top leaf provide a subtle leading line. Be conscious of where your echos are placed. As contrasted to a totally blurred background, they are additional elements in your visual design and, as such, must be placed with care! Note the 1st two of the three examples as opposed to the third. I was careful with the spacing|separation in the 1st two (no overlap), but wish that I’d moved an inch or two to my right in the 3rd because of the overlap between subject and the next flower back – the rest I don’t mind. 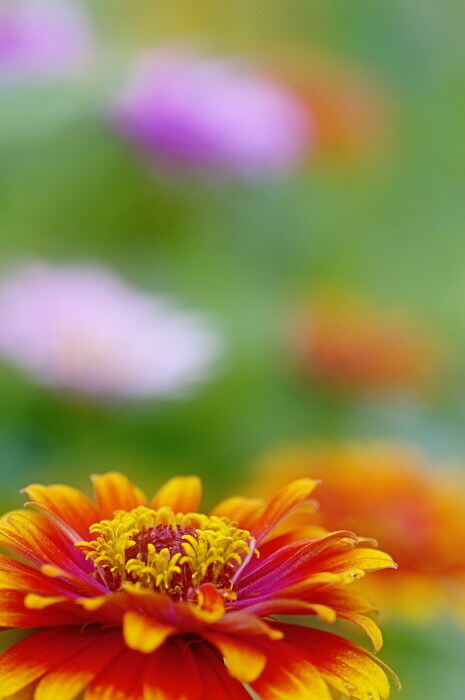 Compose for your background. You can’t treat it as an after thought! Why isn’t the window rotating? Technical – Nikon D300 RAW, Tokina 50-135 2.8 @ 135mm, 13 sec (that’s thirteen), f/22, ISO 200, EV=0, Aperture Priority, center weighted metering, Cloudy WB, Tripod. The lens has a tripod collar the significance of which, for this image, is that the camera can be rotated while sitting on the tripod. 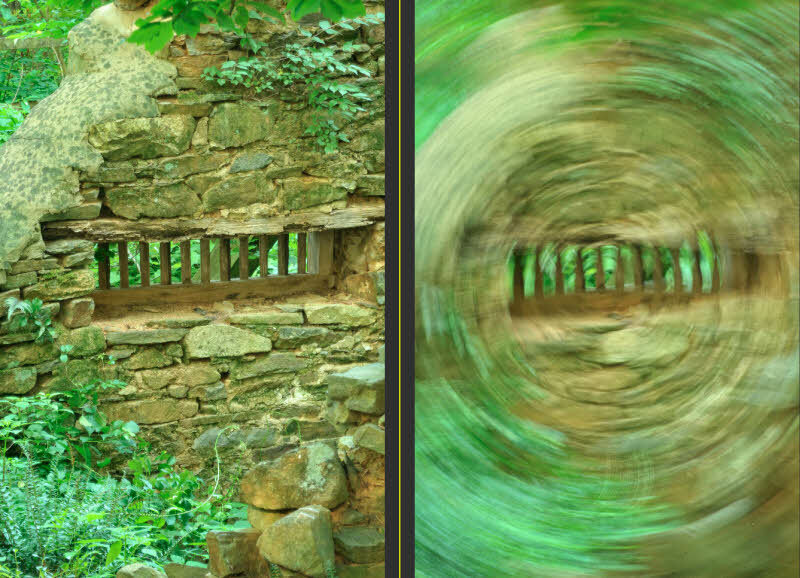 In this case, I rotated the camera back and forth about 30 degrees until the 13-second exposure time was over. 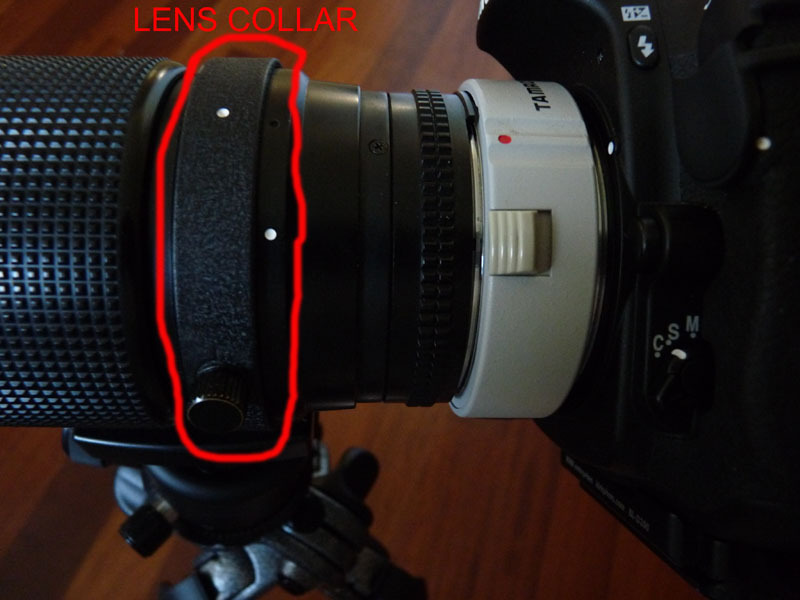 Here’s what a lens collar looks like if it’s new to you. It attaches to the tripod and the camera is free to rotate to any angle. The camera and lens turn within the collar which is fixed to the tripod. About now you’re probably saying – interesting but so what! Well, I have two points to make. First – As the quote at the start suggests, experiment with your photography. Have you ever noticed, on forums, how often a question like “What does the XYZ button on my camera do?” Now, there’s someone who can’t even do the obvious – TRY IT, for for cryin’ out loud! – and doesn’t know the meaning of the word experiment. That’s not you or me, but just sayin’. 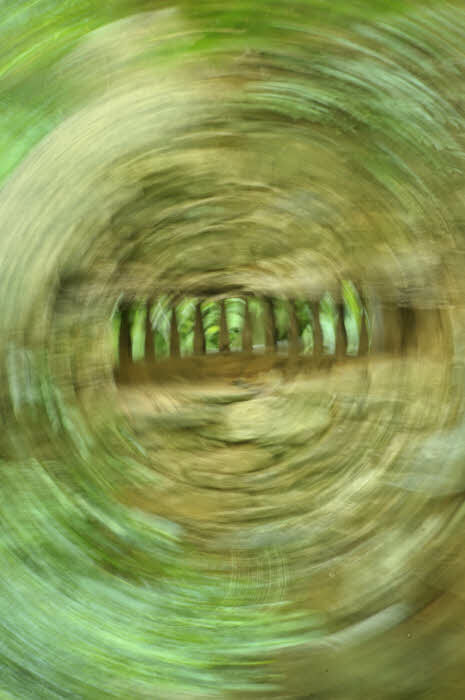 With today’s image, I came across this structure and happened to have a lens with a collar on my tripod (I routinely carry a camera on the tripod while walking about). Further, the light was low thus allowing long exposures. I said to myself – I wonder what would happen if…. – I’ll have to remember to ask that on a forum later give it a try. And so I gave it a try – actually about 25 tries with varying exposure times and degrees|speeds of rotation, etc. The one shown above is representative. Second – I was surprised and puzzled by one aspect of the result (and remain puzzled – answer anyone?). I did not expect the window to show almost no rotation. I expected less rotation than objects nearer to the perimeter of the frame, yes, but not the small amount that you see. Although it’s hard to see in the version here, the foliage visible behind the bars of the window is rotating as you’d expect so why not the same effect with the window frame and bars? Like I said, puzzling.